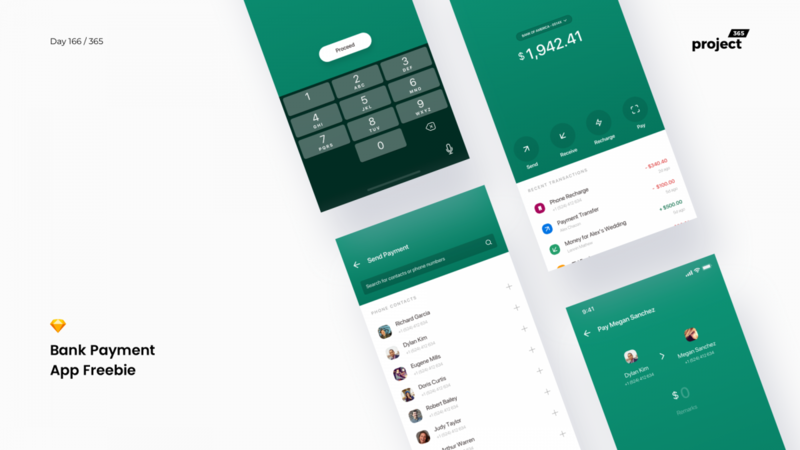 Brief: To design a bank wallet payment app in Sketch as a freebie. Here’s a super fun minimal payment app that can be used for your wallet/banking application. may be you can upload an updated link? awesome idea to design daily a new project. but you must have a solid a library, to manage to do so so fast. – Can you share about your technique of work with a post on Medium or another blog? the way you must be organized is 50% of the success of your speed of execution. – What are your tools? your technique to set up such well organized production. thank you to share all what you did already. it is an amazing work. Regarding the download link, It had an extra forward slash, which has been removed now. Sorry for the inconvenience. About the medium blog post, yes, I have been wanting to write one asap. Hopefully by next few weeks. Also true, being organised helps in getting things done. Glad that you like it mate. I’ll definitely write a reply over here once my Medium blog goes live.